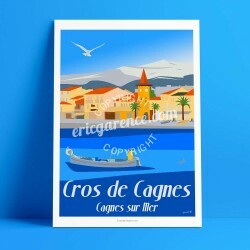 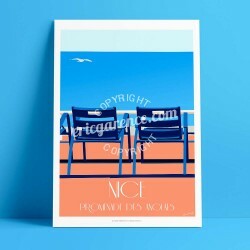 Collection poster belonging to the Côte d'Azur / Cagnes sur Mer series. 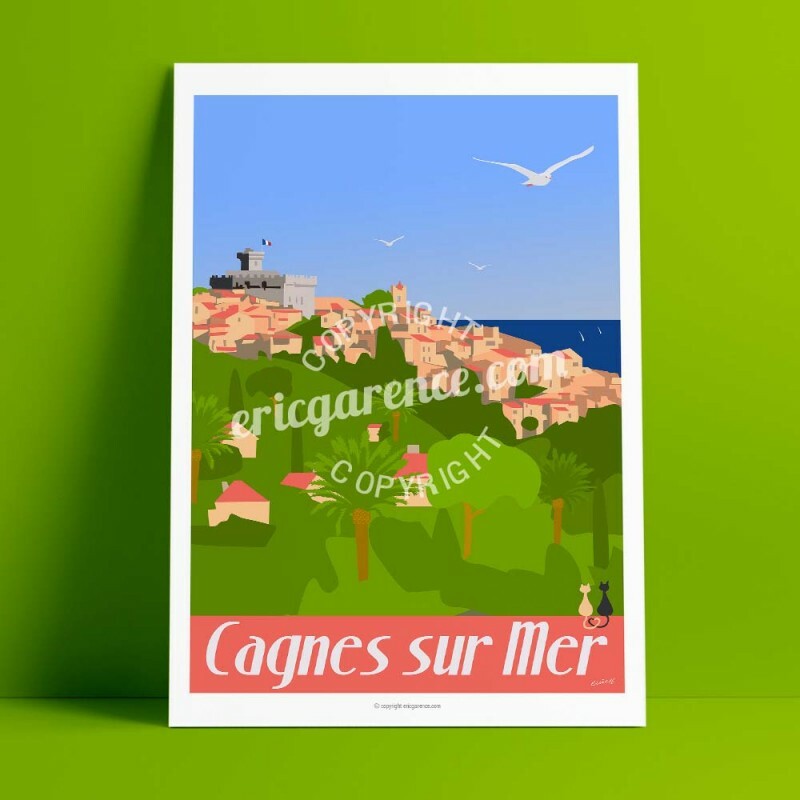 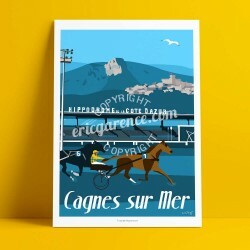 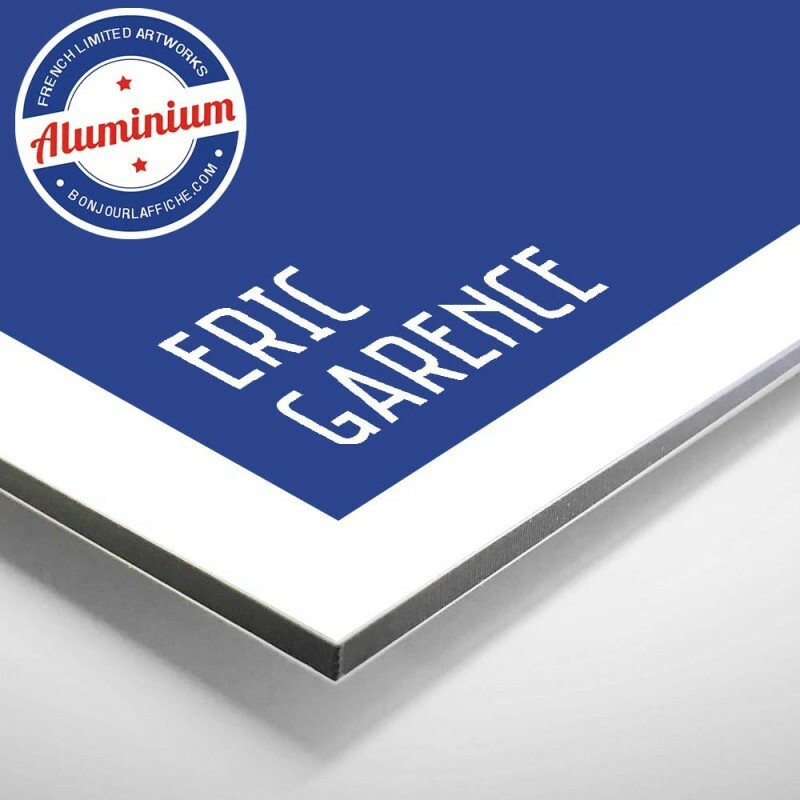 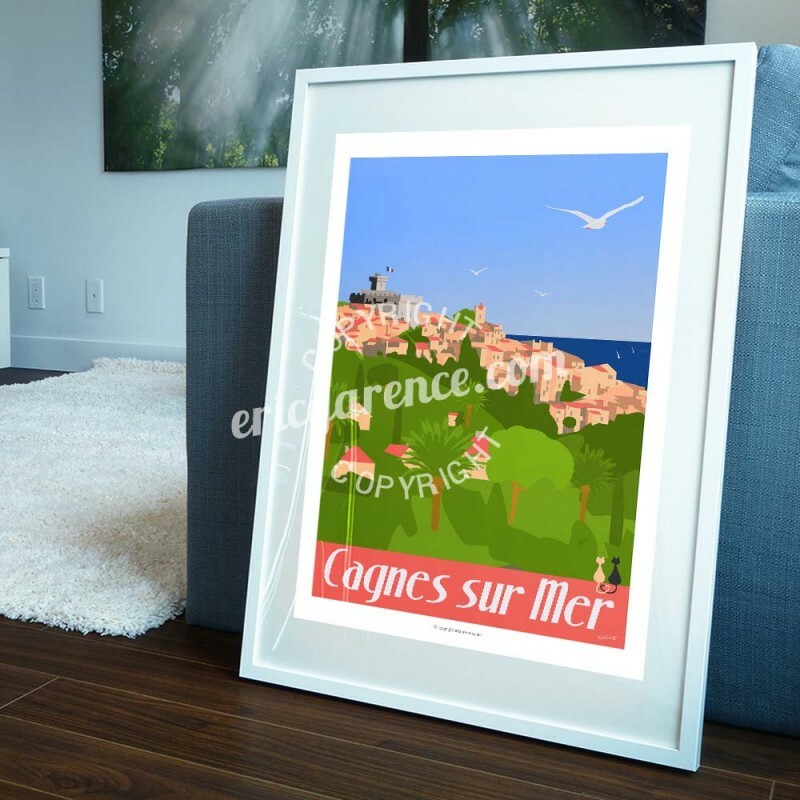 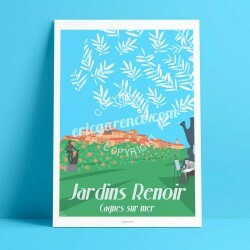 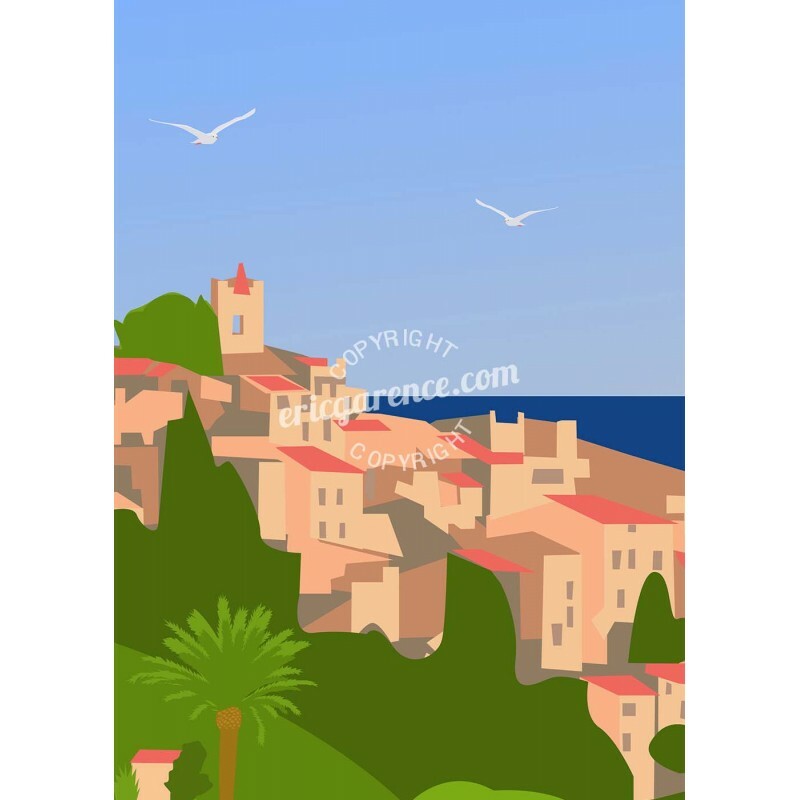 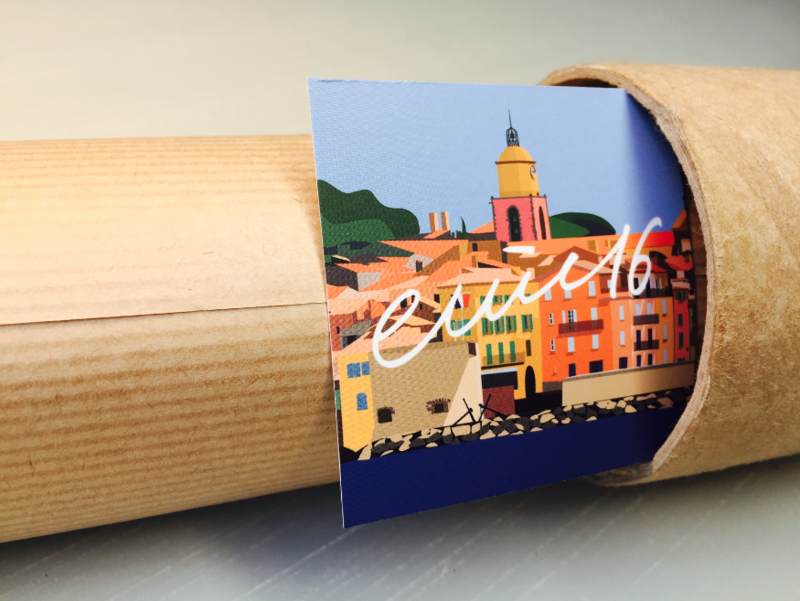 Made in 2017, this original poster signed by Eric Garence represents the hill on which is situated the small village of Cagnes sur Mer. 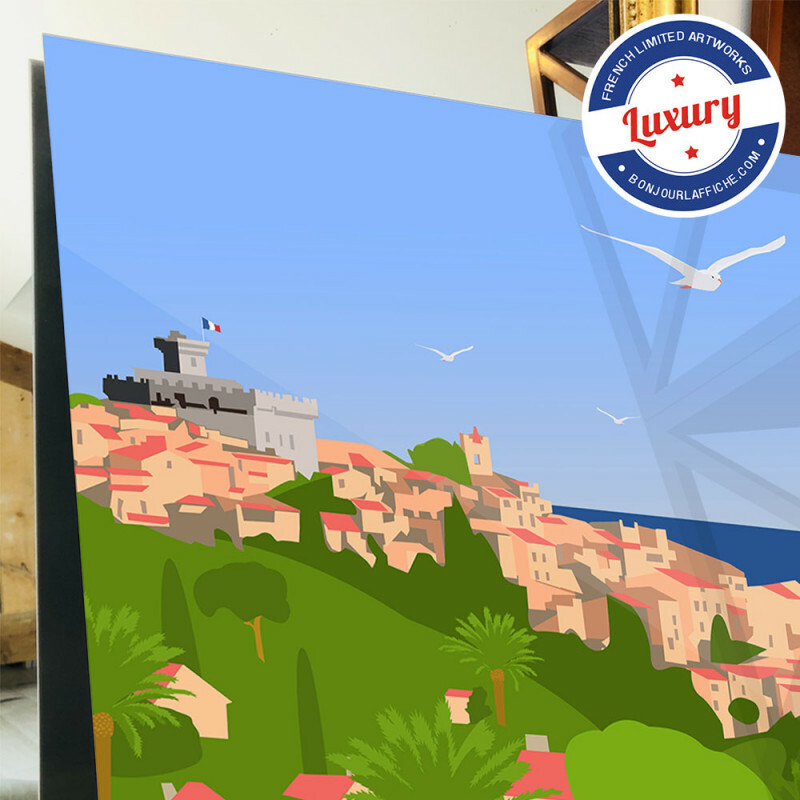 At the top the castle built in 1309 by The co-lord of Monaco and Admiral Rainier I Grimaldi. 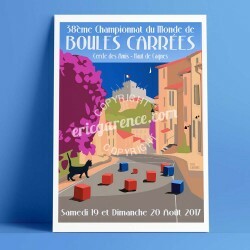 Here the greatest painters Renoir, Soutine, Derain, Johnson, Vallotton ... but also immense stars like Brigitte Bardot were installed to enjoy the joie de vivre of the city.